I’m a tiny bit sad to report the death of Pinoccio. Note that the missing “H” is deliberate. I’m not talking about Pinocchio the beloved character from children’s literature. I’m talking about “Pinoccio” (without the “H”) open-source semi-Arduino-compatible hardware and software platform. Actually to say that I’m reporting it is a bit of yesterday’s news. It was actually reported here in a blog post on their website dated March 30, 2015. The reason I didn’t see that blog post right away is that I had pretty much given up on the system several months earlier. 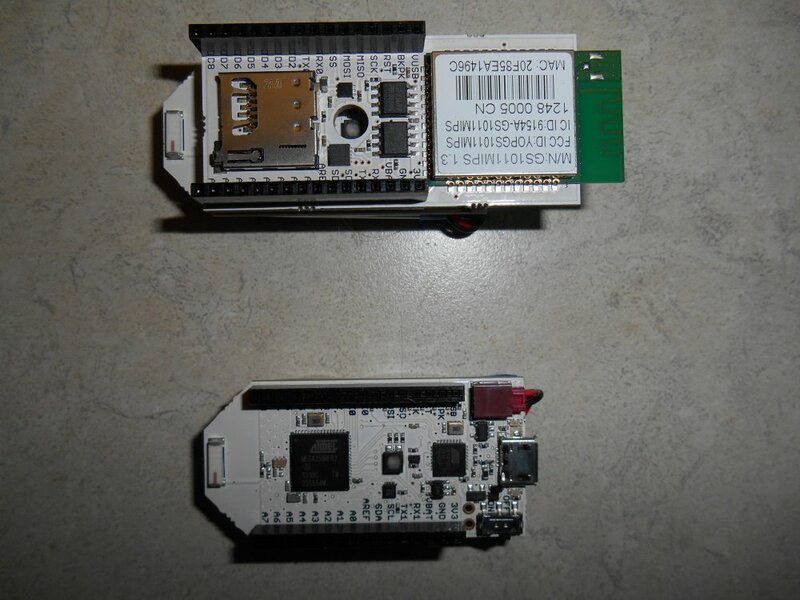 Here’s a bit of history… In late 2012 or early 2013 I became aware of this Indiegogo campaign titled “Pinoccio – A Complete Ecosystem Building of the Internet of Things” It was a small 1″ x 2″ Arduino compatible board using a chip similar to the one used by the Arduino Mega. 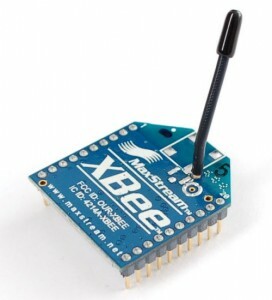 This variety had a built in mesh radio such as used by the X-Bee system. 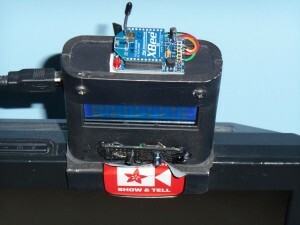 It had a built-in LiPo battery, an RGB LED, a temperature sensor and a Wi-Fi backpack. You could connect to one of the units called a Lead Scout via Wi-Fi and then it would communicate to the other units over mesh radio which were known as Field Scouts. I quickly signed up at the $149 support level which would get me a Lead Scout and a Field Scout. 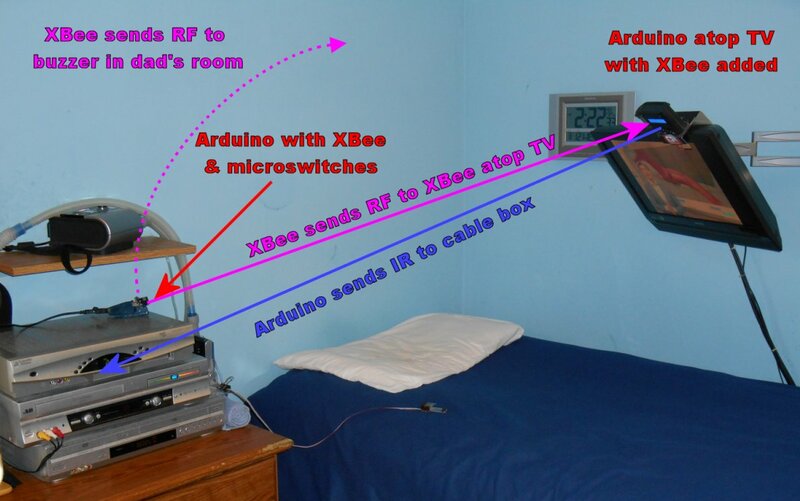 Although the units were a bit pricey, if you added up what it would cost to buy an Arduino Mega, battery, charger circuit, X-Bee radio, and Wi-Fi module it seemed like a bargain at the time. They were seeking $60,000 in funding and end up raising over $105,000. Put this in proper context note that this was several months before Spark Core appeared on Kickstarter. Note that Spark Core has recently rebranded as Particle.io. Had Pinoccio made its original delivery date of July 2013 they would’ve beaten everyone to market and would’ve been a major player in the Internet of Things movement. There were plans for a smaller version without the battery and sensors that would’ve been easier to embed into production products. There were plans for a variety of backpacks or shields including the one I was most anxious to see… infrared LED and receiver. My goal was to use it to create an Internet capable IR remote. I wanted to create an inexpensive alternative to the RedEye IR Remote from ThinkFlood. And it was a good thing I was planning such because ThinkFlood was shutting down as seen here. My Pinoccho boards upon arrival. The folks from Pinoccio quickly learned the hard lessons of crowd sourced funding. Lesson number one is inevitably “If you’ve got a great idea it’s easier to raise money then it is to bring a product to market.” I won’t bother to recount the litany of things that caused multiple delays but the bottom line is that backers did not get their units until April 2014 a full 10 months past the initial estimated delivery. The reasons were the usual things: finding suppliers, finding someone to make the boards, setting up the business itself. It seemed that the main reason/excuse for delays was that “We want to get the software right.” Here is my blog post which gave my initial positive reaction to the devices when they finally arrived. The software that we waited so long to finally get was indeed quite extensive. 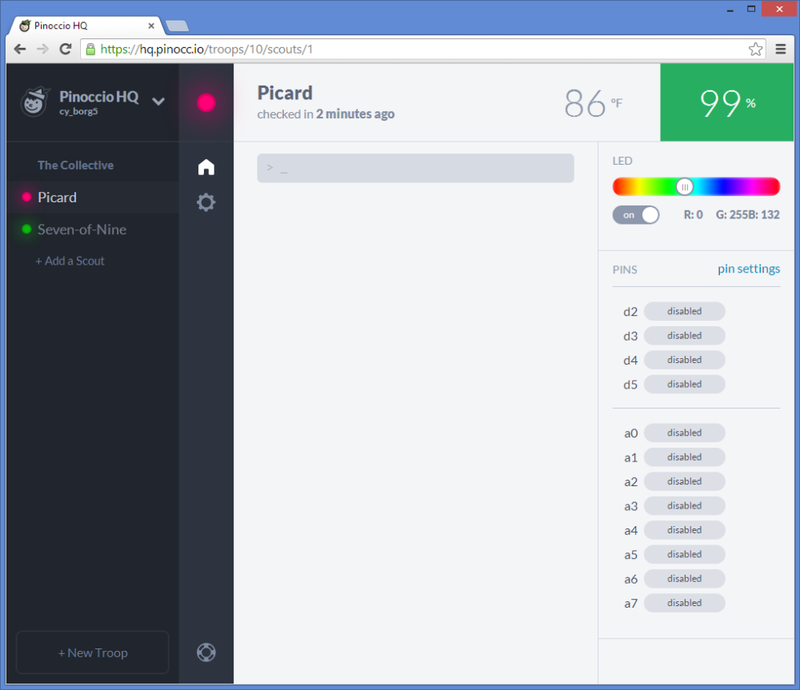 There was an Internet portal called hq.pinocc.io that allowed you to do many things without even writing any code. And it included an extensive script language that you could write small programs directly from the HQ application without having to use the Arduino IDE or do any C++ coding. They wanted you to be able to plug the thing in and do something with it right away. 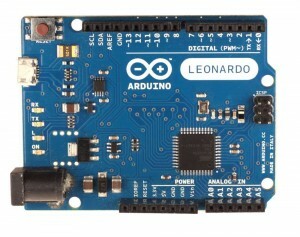 That ability is one of the key things that led to the success of the original Arduino. 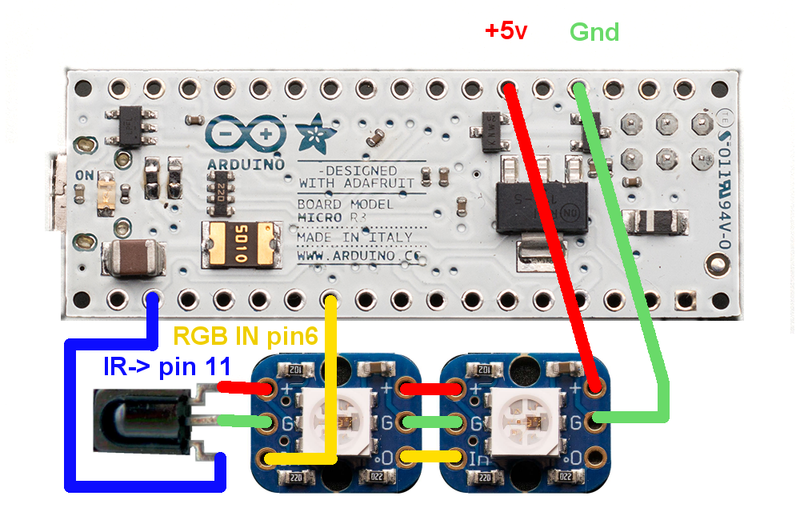 With a built in RGB LED and temperature sensor, you could do more than just blank the LED on pin 13 like you can with Arduino out-of-the-box. I was taught as a programmer from day one that execution of a program started at the top of the main module and went step-by-step through the module sequentially unless modified by the if/then/else or some sort of loop structure. But asynchronous coding is something significantly different. You make a request to a Web server and within that request, you send it the code that you want to execute when it finishes the job. That seems simple enough. I figured it would call the code when it was ready and then move on to the next step. But it doesn’t work that way. You move on to the next step immediately after making the request and you have no idea when it’s going to complete that request and invoke your callback function. I would make a request from the server for a piece of information. My callback function would tell the server where to put that information in my program. Then I would try to display that information on the webpage. But it was never there. When I would insert debugging code to see why it wasn’t there, it was there. It reminded me of the paranoid poem about the little man on the stair. The little man who wasn’t there. When you are collecting several pieces of data in a row and you don’t want to proceed until you’ve got them all, the nested callback functions can get pretty hairy. It took me a long time to figure out what I was doing wrong. It also took a lot of patience on the part of the people from Pinoccio in their support forums to walk me through my inadequacies is particular area of programming. I owe them a tremendous debt of thanks. (Humorous note here… When I dictated the previous sentence using my dictation software, it misunderstood me and said “I/O them…”. How appropriate for a “.io” system). Anyway they were most gracious and patient with me. I did my best to pay back their kindness. I blogged everything I could about the device. I showed it off on the Adafruit Google+ Hangout Show-and-Tell. I blogged about how to get around some SSL certificate problems that cropped up along the way. And I did my best to educate them in the hardware requirements necessary to make an infrared backpack for the Pinoccio system. And ultimately I did get a working Internet-of-Things infrared remote that I used to operate my TV and cable box. My cable box is located in the living room but I have an HDMI cable that runs into my adjacent office so that I can watch the same thing my dad is watching and living room. I can get on a webpage in the office and control the cable box in the living room. I used it every day for several months and it was a real godsend. I succeeded in replacing my defunct and unsupported RedEye remote. I included Pinoccio support in my next public release of my infrared library IRLib. I began cleaning up my asynchronous webpage code and preparing to publish it to share with the world everything I have learned so that the next novice who came along would have a clear and simple tutorial to follow I would not have to bother the people in the support forum to learn the things I have learned the hard way. One of the things that bothered me about the entire system was that it was totally dependent upon the website hq.pinocc.io servers were maintained by the Pinoccio organization. On occasion, their server would crash and I would be stuck with a useless system. I asked them what do we do to remove that dependence. The old RedEye remote system was accessed directly to the local IP address of the device itself. It also included its own Web server in the device. In contrast the Pinoccio system required me to make my own webpage to control the device (as great as HQ was it wasn’t sufficient). That meant I had to install a Web server on my PC. I can only control the system from that PC unless I uploaded the webpage to cyborg5.com which I didn’t want to do. Setting up WampServer on my PC was much easier than I anticipated. That allowed me to host my controlling webpage with no problem. Furthermore my webpage could not communicate with the device directly. It had to go through their servers. My controlling webpage went to a URL on their server and their server connected back to the device itself. The whole point of Pinoccio, for me at least, was to replace the defunct out of business RedEye Remote. What was I going to do if Pinoccio ever folded? They assured me that they were working on a system that would allow direct connections without going through their server system. And in the end they did so.. They developed a system where you could plug one Scout into a PC and have it communicate directly with the other Scouts using the mesh radio. You didn’t need the Wi-Fi at all. They called it a “Bridge Scout”. While that was of suited my purpose, still wouldn’t have given me all of the capabilities the device should have had. There supposedly is a way to set up one’s own server that would duplicate their part of the infrastructure. I believe them when they tell me that. However doing that myself would required another steep learning curve that I didn’t really feel like attempting. It would require more than I can get out of WampServer. It involved node.JS and a variety of other things that were beyond me. Unfortunately somewhere along the way the device got a bit glitchy. There were constant software updates some of which I kept up with and some I did not. After not doing updates for several months, I finally decided to do an update in hopes of fixing the glitches. The end result was my device quit working altogether. I spent a couple of weeks presuming that the problem was an adverse interaction between my infrared code and their systems software. It involved going onto GitHub and figuring out which version of the software I had been using that was working somewhat well and then individually applying each and every update that had occurred over the period of several months. I finally found the patch that was causing my code to crash. In the end it was not an adverse reaction between my infrared code and their system. I was able to whittle it down to an example that did not include my IR code at all. Somewhere in the midst of all this, I ended up “bricking” my lead scout. Somehow during a crash, the boot loader was overwritten. They talked me through a system wherein you could use one Scout as an ISP to restore the boot loader on a broken Scout. Initially that process did not work because I tried to do it with the Wi-Fi backpack still installed. Somewhere along the way while adding and removing the Wi-Fi backpack without disconnecting the power, I permanently damaged the Wi-Fi backpack. That meant that the so-called “Ecosystem for the Internet of Things” was no longer Internet capable. A replacement Wi-Fi backpack would cost $79. 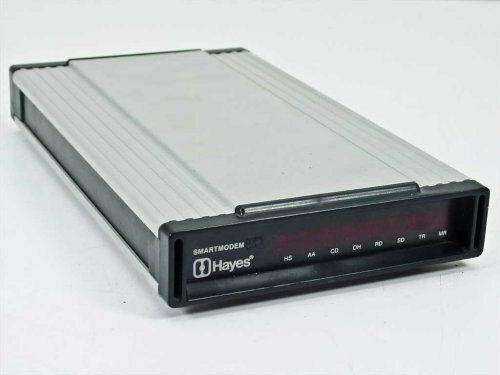 I was able to get the system running somewhat using the bridge Scout they described where you had to keep one unit plugged into a PC to communicate with another unit. However I had become frustrated with the whole thing and needed to get away from it for a while. 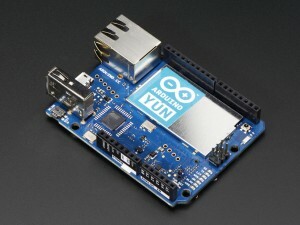 I ended up ordering an Arduino Yun from Adafruit.com. I immediately fell in love with the device. 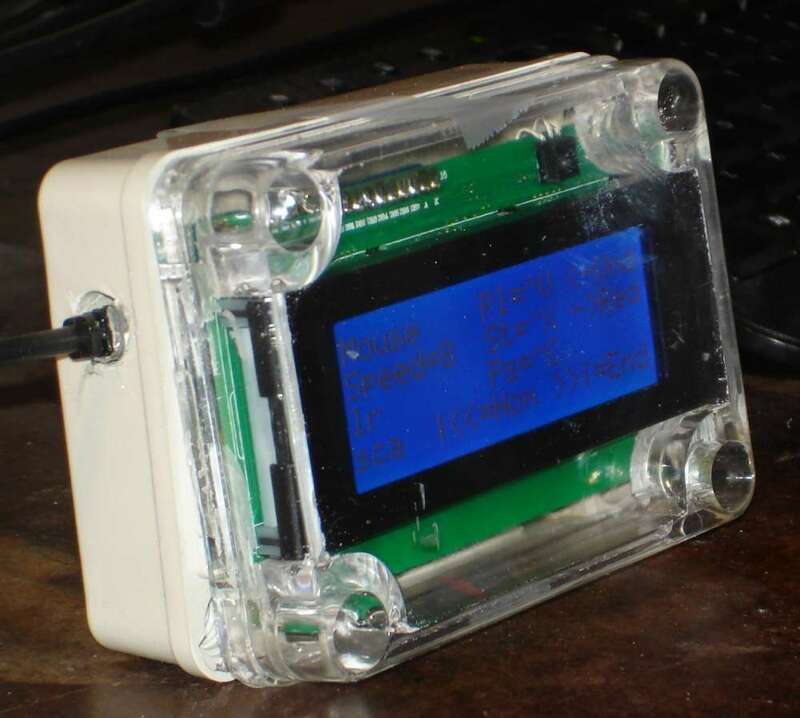 It consists of a powerful microprocessor running a minimal version of Linux and an Arduino Leonardo in one device. The communication between the Leonardo and the Linux was well defined and easy to use. The Linux portion did include its own Web server. You could also update the onboard Arduino sketch and the associated webpage using the latest Arduino IDE and do so wirelessly for Wi-Fi. That ability to update wirelessly was something that Pinoccio had promised from the beginning but never did fully implement at least from a users perspective. They did allow you to update system software wirelessly but not user programs at the Arduino level. 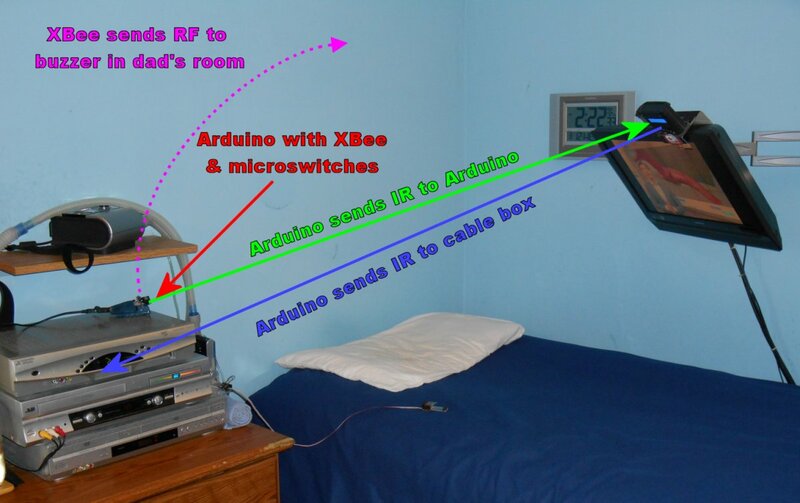 Although I did have the Pinoccio experience under my belt along with the experience of doing asynchronous callbacks to Web servers, setting up my IR remote on the Arduino Yun took me only a day and a half rather than the weeks and weeks of frustration that I had with Pinoccio. One of the things that was probably the nail in the coffin of Pinoccio for me personally was the fact that I could buy an Arduino Yun with its embedded Linux, Wi-Fi, Arduino Leonardo, and built-in Web server with no external infrastructure needed for about $75. That was four dollars less than the Wi-Fi backpack alone for Pinoccio. 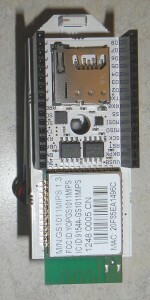 With the success of modules like the CC3000, Particle a.k.a. 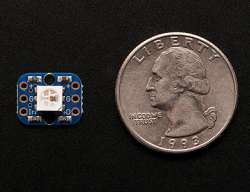 Spark Core, and the amazing new and inexpensive ESP8266 there was no hope for Pinoccio. They might have salvaged it by ditching their own Wi-Fi backpack and making a backpack using the ESP8266. My intent had been to take a break from Pinoccio after I got the other system up and running. I still felt like I owed them those tutorial blogs to help other Pinoccio users not have to go through the blood sweat and tears that I’ve been through. But I got distracted with other projects and never was able to do it. Now of course there is no more Pinoccio. Their servers are shutting down at the end of the month and anyone who hasn’t figured out how to launch their own server or who is content with using bridge mode is going to be out of luck. Ironically my old RedEye Remote has in some ways outlasted the Pinoccio. Even ThinkFlood shut down over two years ago, you could still use their device as long as you didn’t need to update the software. 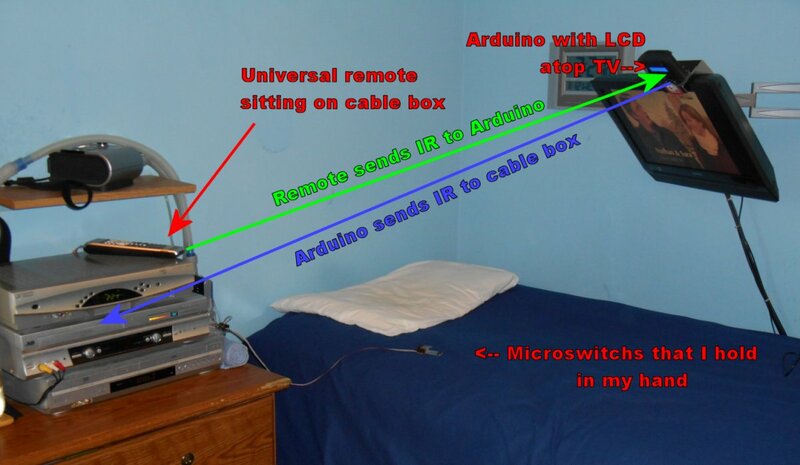 I’ve been using mine as an Internet remote to control my bedroom TV and cable box in the same way I’m using the Arduino Yun for the living room. However I recently purchased a new TV in the bedroom and I cannot update the RedEye with the new codes. I had to order another Arduino Yun. I had a bit of a scare because the Yun has been out of stock at Adafruit for a couple of months now. Fortunately I found one at my second favorite supplier SparkFun.com. I’m pretty sure that the shortage is a consequence of the trademark disputes between Arduino.cc and their previous hardware manufacturing company which has now rebranded itself as Arduino.org. Is my belief that Arduino.cc should and will win the dispute. And I’m absolutely ecstatic over the new announcement that Adafruit will become the US manufacturer for Arduino.cc. I’m confident that both Arduino and Adafruit will be around for a very long time. In the end I think I’m going to miss Pinoccio. I was quite fond of the little fellow and a bit disappointed he never really achieved his full potential. I don’t regret any of it however. I learned a lot of useful programming. And I learned some lessons about crowd source funding. And it serves as a cautionary tale about Internet of Things systems that are too closely linked to their infrastructure. I think that as IoT continues to grow that’s going to be an important lesson for everyone. One of the hottest toys this Christmas is the Zoomer Dino. 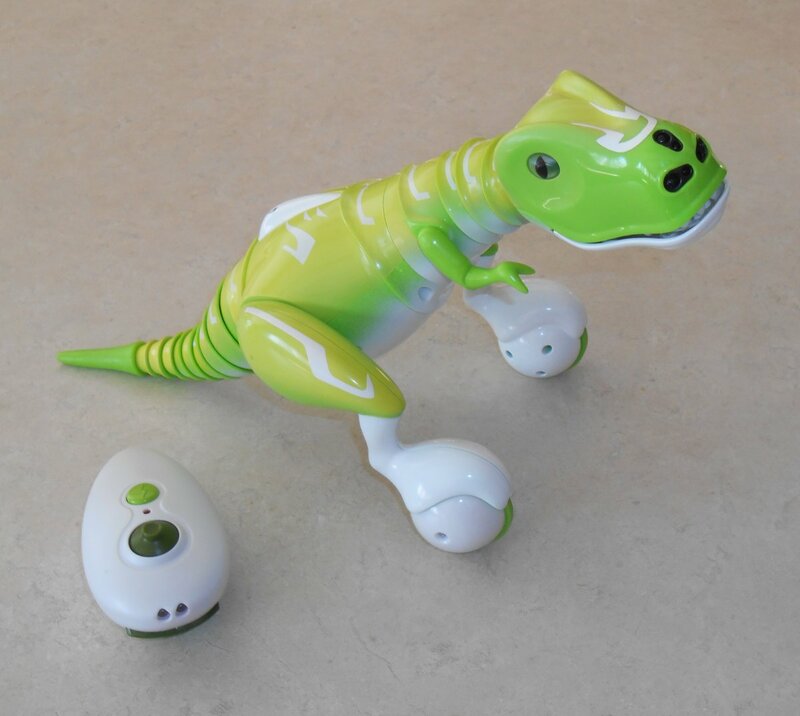 It is a remote-controlled self balancing two wheel robot dinosaur with an infrared remote. I got one for my 10-year-old nephew for Christmas and after playing around with it I had to get one of my own. I have been thinking about building Arduino powered two wheel balancing robot from scratch but here was one that works right out of the box. I’m not sure if it has a gyro or accelerometer to keep it balanced. He rolls around on his own making noises including burps, farts, and laughs. You can also take over control with an infrared remote. 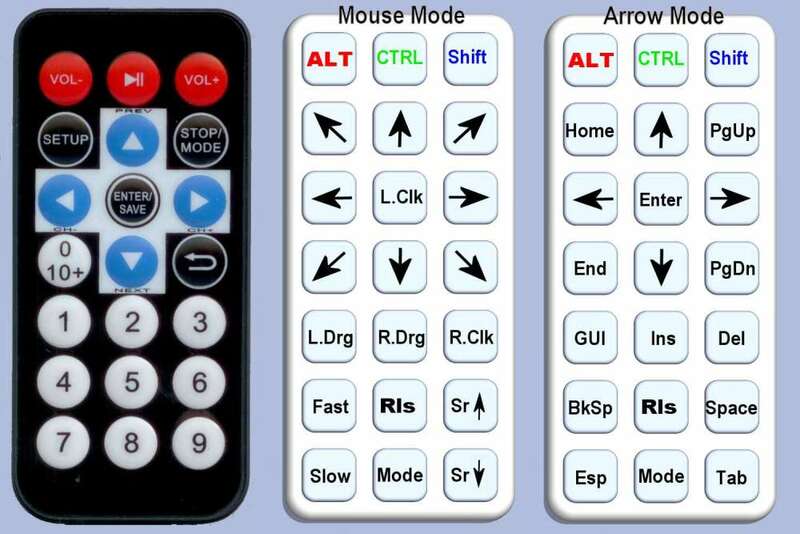 The remote has a joystick and three pushbuttons. The joystick moves the head up, down, left, right. If you hold in the “run” button while moving the joystick he rolls around under your control rather than moving the head. There also is a button for “chomp” which makes his jaw chomp open and closed. Additionally there is a “angry” button which makes his eyes glow red and he thrashes around angrily. As with my IR controlled to a helicopter before, I had to see if I could reverse engineer the protocol it was using for the remote control. 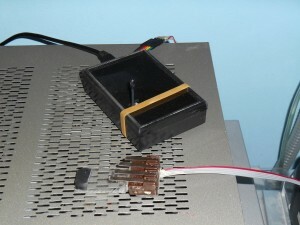 It was one of the most challenging IR reverse engineering projects I’ve ever encountered. I finally had to go out and purchase one for myself because I had to wrap up the original one for my nephew. I used my IRLib Arduino Library for decoding and encoding IR signals. 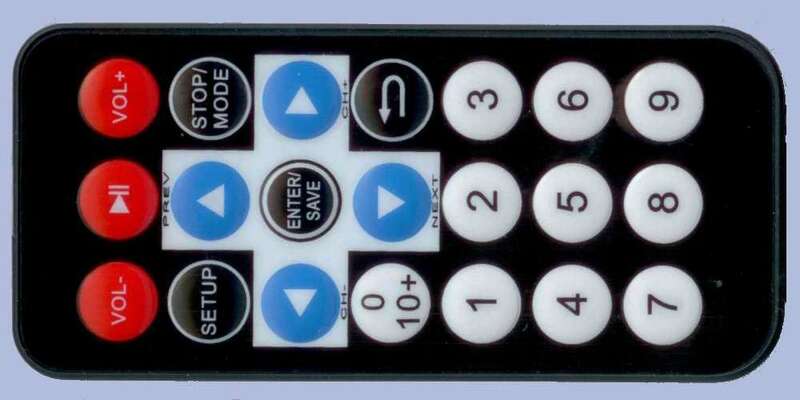 Once you push a button to get things started, the remote puts out a continuous signal that is the neutral position of the joystick with no buttons pushed. I came up with a raw dump of the timing values using my IRrecvDump sample sketch. Here are the results. This is a quite typical set of signals used by many protocols. Only the timings and number of bits are unique. We have a header that consists of about 9200 mark and 4800 space followed by 25 data bits and a closing mark. The data marks run about 500 or 550. The data spaces are either about 650 or 1800. This variable spacing is the most common way to encode zeros and ones. We’ll call the short spaces ones and the long spaces as ones. I created a custom decoder object as follows. Because the remote sends signals continuously, this routine only reports the initially received value and then anytime the value changes to something different. It outputs 6 hex digits but note that there are 25 data bits being received. I then plugged the hex values into an Excel spreadsheet, converted them to decimal, and then parsed out the individual bits to try to deduce a bit pattern. I tried leaving the joystick alone when pushing the 3 buttons individually. Then I tried moving the joystick full throw forward, backwards, left, and right. The results are shown in the table below. You may click the table image to enlarge it. Table 1-Bit patterns from Dino remote. In all samples, the first three bits were always zero as was the last bit. It was pretty obvious that after the initial zero bits, there was a five bit field that was the left/right position of the joystick with the left position having a value of zero, the center as 16, and the right was 31. This was followed by another five bit field that was the forward/backwards joystick position with zero to the back, 16 in the center and 31 full forward. The next three bits were obviously the three buttons. There were eight additional bits that seem to have no rhyme or reason to them. Here is a revised version of the receiving code that parses out the bits into their individual fields. But what to do about those parity bits? I had to presume they were some sort of checksum or other data verification field. Normally when capturing and decoding IR signals I really don’t care what the data represents internally. 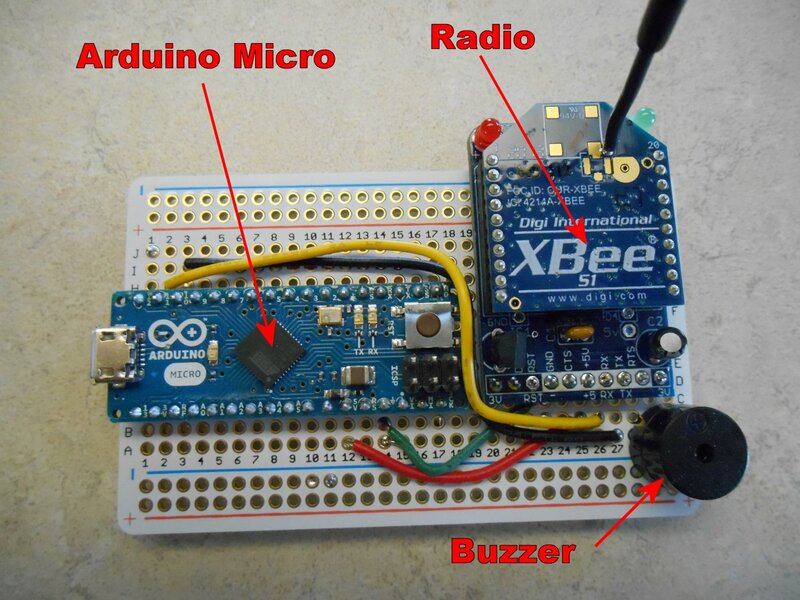 I point a TV remote at my receiver circuit, capture the hex value, and then re-create that value using my IR transmitter. I could have just quit now and build an application on the Arduino that would transmit button pushes and fixed joystick positions but it would be nice to be able to use any joystick position that I wanted from 0- 31 in either X or Y directions in any combination. But to do that I needed to figure out how to compute those additional eight bits of data. Most consumer-electronics protocols use a simple checksum of adding the previous data fields together. Sometimes you take the 1’s complement of the data and repeat it. Sometimes you use bitwise XOR to combine the fields. I spent three days playing around with various versions of my Excel spreadsheet analyzing lots of bit patterns captured from the remote and could not deduce the pattern. I asked a couple of online acquaintances if they had any suggestions but they’re only input was to try checksum, XOR etc. A cyclical redundancy check or CRC was another option but that would be hard to reverse engineer and they generally are not used for such short streams of data. Keep in mind were only talking about 13 bits of actual data if you don’t count the leading and trailing zeros or the eight check bits. At one point I remembered there was something called a Hamming error correction code. I had learned about them in college in my CS 484 class with Dr. Judith Gersting over 25 years ago. I barely understood how they worked back then and I’ve not used them ever since so the chances of me being able to figure it out on my own were represented by the three initial zeros in the data stream 🙂 Dr. Judith Gersting was not my only mentor in college. Her husband Dr. John Gersting told us on the first day of programming class that he was not going to teach us programming. He was going to teach us to teach ourselves programming because the minute we walked out the door, everything would probably be obsolete anyway. He literally handed us a textbook that he wrote and told us to go teach ourselves the course. I guess I was going to have to do some Google searches and teach myself everything I needed to know about Hamming codes. As it turns out there is no one single way to create an error detecting/correcting code. There are entire websites devoted to multitudinous ways and they all use notation that I didn’t understand. I did find one website from UMass linked here. One thing I have learned about Hamming codes was that they typically only add a vary few extra bits. Using the calculator linked above if I put in a 16-bit value it would only add five additional bits. I was getting eight additional bits on just 13 bits of data. But the one thing I did learn from that page was the way you calculate those extra parity bits. There is a matrix that tells you which of the data bits to add together to get each of the individual parity bits. I really had to do was figure out which data bits contributed to each parity bit. I had already noticed that if you push the “run button” which I have listed as “B0”, that parity bits P2,P1,P0 all inverted from their normal position. Similarly the “angry button” which is “B1” toggles parity bits P3,P2,P1. Similarly the “chomp button” labeled “B2” toggles P4,P3,P2. Additionally the center position of the joystick had only a single bit set, the highest order bit of the five bit field which was value 16. By comparing those to the joystick positions which were all of the way left or on the way back (which consisted of all zeros) I could figure out which parity bits changed based solely on X4 and Y4. Quite by chance I also found had captured samples with X positions of exactly 8, 4, and 2. So that told me which parity bits were based upon X3, X2, X1, and X0. As I updated the formulas for calculating each parity bit, I compared the computed results to actual capture values for every hex value I’d captured. I had a list of over 30 values that I had dumped from simply wiggling the joystick around. Eventually I was able to fill in the blanks and came up with the following formulas. Comparing my computed results to all my captured results I was convinced I had completely deduced how the parity bits were calculated. When you put those results in a table as follows, there is a definite pattern to them. It looks a lot like the patterns that had been seeing on various websites. Finally I was able to create a sending routine that allowed me to test all of this out. This is a somewhat stripped-down version of what I ultimately came up with. You upload the sketch, call up the serial monitor, and type various characters into the monitor. 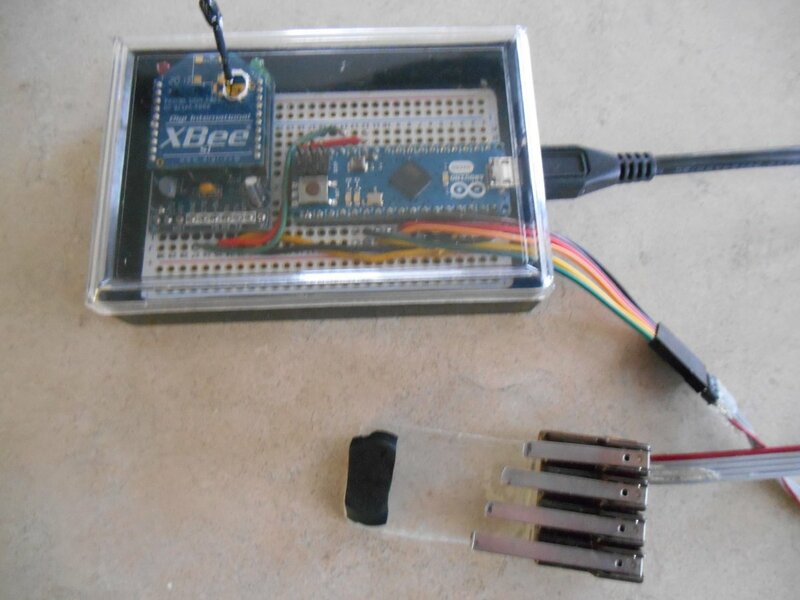 The sketch then interprets those as commands and sends the proper hex code to the IR transmitter. //Un-comment next line to have Dino do normal behavior. The actual remote sends continuous streams of data even when you aren’t doing anything. If you don’t touch any buttons or move the joystick for about one minute it eventually shuts down. If you are not pushing a button and the joystick is in the neutral position, the dinosaur engages in various preprogrammed behaviors. I needed a way to get him to sit still while I’m typing in the next string of letters. If you select “Normal” mode. It doesn’t send any signals. If you press a “0” it continuously sends a tiny forward and backwards code which basically has him sit in one place. He wiggles a tiny bit and make some noises but he doesn’t go off on his own. Then when you type other letters he goes in the direction you want him to. You can look at the “switch statement” to see which characters perform which functions. I send multiple transmissions of each code. The default number of signals is defined in COUNT so it was easy to change the default. I have a more advanced version of the sketch which causes him to move at various speeds, shake his head repeatedly, travel in zigzag motions etc. I also added commands to make him go forward and right or forward and left simultaneously. That way he doesn’t spin in place, he turns in a broad curve. In the demo video below I use that feature to make him travel in an oval-shaped pattern. Know that all of the driving patterns I put him through in the video below could be done with the actual remote. You’ll have to trust me that they were created using an Arduino and my software. My ultimate goal is to port my code to my pinoccio board which includes Wi-Fi and mesh radio. That way I can control him through a webpage similar to this. I will end up with an “Internet of things” remote control dinosaur. 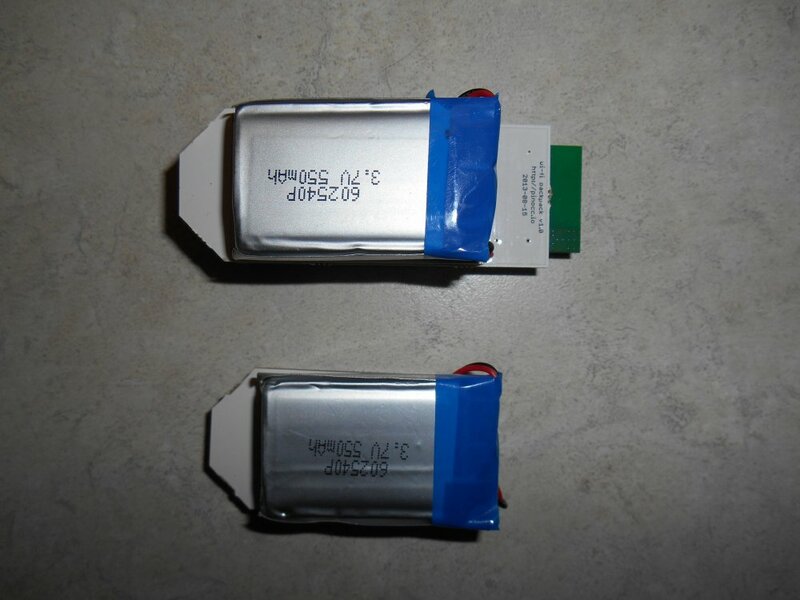 The pinoccio has a LiPo battery and is very small. I might just velcro it with an IR LED to the back of the dinosaur and not worry about maintaining a line of sight from my transmitter. I will post more details when and if I ever get that working. Here is where I demonstrated the project on the Adafruit weekly Show-and-Tell on Google Plus Hangouts. New bit-bang option for PWM output frequency setting. Now can use any output pin with no hardware timers. Note:bit-bang output not as accurate as timer-based frequency selection. Major rewrite of IRLibTimer.h to facilitate bit-bang. Separated hardware timer selection and specification into sending and receiving sections in order to implement bit-bang. New IRfrequency class for detecting input frequencies. Previously was a stand-alone special sketch but now is a class including a DumpResults method. New IRfreq and IRrecvDumpFreq illustrate simultaneous detection of frequency and pattern with both an IR learner and IR receiver is connected. New #define USE_IRRECV define can be commented out to completely remove the interrupt driven IRrecv receiver class from the library. This resolves ISR conflicts with other libraries such as Tone() when not using IRrecv class. New #define USE_DUMP define can be commented out to disable DumpResults methods. Saves code space when these methods are not needed. Revised user manuals to document new features and correct previous documentation problems. Note: The included user manual update is not yet available on the website at http://tech.cyborg5.com/irlib/docs/ but it will be updated shortly. New user manual is available with the library itself as a Microsoft Word .docx file as well as PDF and EPUB versions. Here is a YouTube video demonstrating how I created an internet of infrared remote using the new Pinoccio platform. 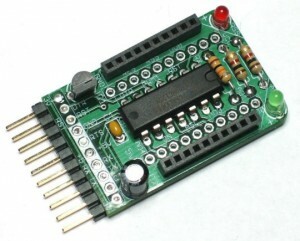 The Pinoccio is an Arduino compatible board based on the ATmega256RFR2 chip. It uses a Wi-Fi backpacked and built-in 802.15.4 mesh radio. At some point I will post an extensive tutorial on this project. My Pinocchio boards arrived today in the mail. By the way I’m going to continue to call them Pinocchio rather than it to spelling Pinoccio simply because it’s easier to dictate using my voice control software wherein I do not need to go back and delete the “h” each time I type the word. For an explanation of the name you can see their FAQ here. This board started out as a crowdsource funded project on indiegogo.com. It was billed as “A Complete Eco-System for Building the Internet of Things”. 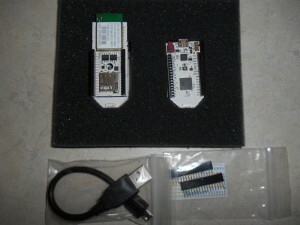 It consists of an ATmega256RFr2 microprocessor, a USB interface, a temperature sensor, an RGB LED, and a LiPo battery. The mesh radio built into the chip is a 2.4 GHz transceiver supposedly capable of ZigBee and IEEE 802.15.4 transmission although I’ve not yet seen anything about how to communicate with X-Bee or ZigBee modules from other manufacturers. Topside view: Lead Scout with Wi-Fi on top. Field Scout below. 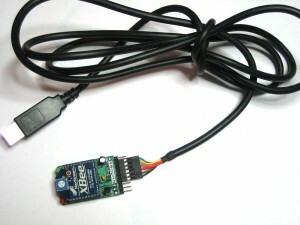 The units use a micro USB cable. The first one I tried was a mini USB with an adapter on it. The adapter was too large because it got in the way of the Wi-Fi shield. I finally found a cable in my pile of cables. I wanted to be able to plug in both of them at once but as it turns out that may be a bad idea. There was a card included that says to get started I should open a chrome browser and go to hq.pinocc.io and download their chrome app. I thought about browsing around the website and reading a bunch of documentation but one of the things the designers have said is that it ought to be easy to get started. They spent a lot of time working on the software and the front end for this thing rather than just creating the hardware and sending them out. In fact the original deadline for shipping was last July and here is the following April. So I thought I would give it the acid test and play dumb and see what I can find. The app loaded just fine and I got a screen that told me to click to add a Scout control panel. They call the control panel “HQ” The first thing it said I had to do was to downloading Windows driver and install it. They tell you to plug in the device first and then it would tell me that no driver was available. Then it suggested I go to Device Manager via Control Panel in Windows and then I would find the device under “Ports (COM & LPT)”. It was not there it was under “Other devices” which is no big deal. I downloaded the driver and unzipped it into a folder. I would’ve preferred a self extracting installer but that was no big deal. When I tried to install the driver, Windows for bid me because it was not signed. No mention of that fact in any of their documentation so minus a few points for that problem as well. This was a Windows 8.1 64 bit machine. 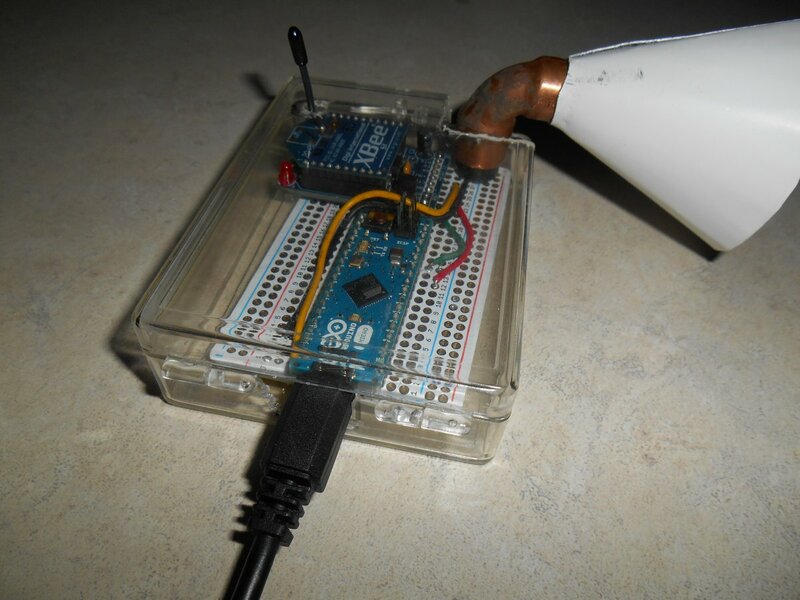 I had had trouble loading Arduino drivers on my laptop for the same reason and I found a website that explains how to permanently turn off that feature. I don’t know why I had not had the similar problem with Arduino drivers on my desktop Windows 8.1 PC. If you are interested… here is the website that tells you how to do it. That went relatively well. Then I went to the process of configuring the lead scout. It took me several attempts and some email exchanges with their technical support people. Eventually it did start working but I’m not really sure what we did to fix it. It seemed to me that the steps they outline history followed in an exact precise manner. Scouts in a mesh are configured together in something called a “troop”. So the first thing you have to do is give it a troop name. I chose “The Collective” (as an homage to Star Trek’s Borg). Then you name your lead Scout. I chose “Picard”. It then searches for Wi-Fi signals and asks you which Wi-Fi it should try to connect to. You are the Wi-Fi from the list and enter your password. There’s also a manual option if it cannot detect your Wi-Fi. When you completed that a screen pops up telling you that it succeeded adding your lead Scout to the Scout HQ. It then tells you to unplug the device so that it will reset and reconnect to your Wi-Fi. After that you click on the button that says “Done”. Apparently they are very picky about the order. You cannot click done until you’ve unplug the device and give it time to reset. 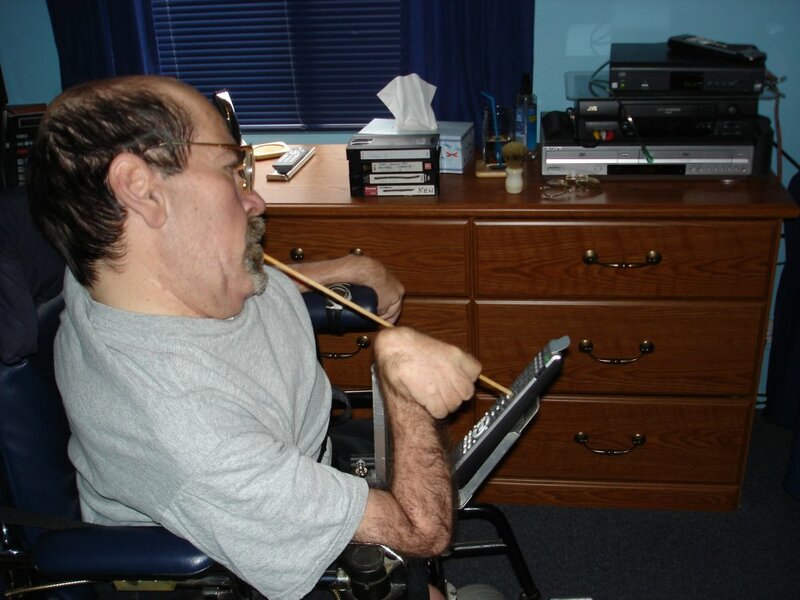 Even then I had difficulty getting it to work right. In the end the only reliable way I could configure it was to unplug it and turn its power switch off and on. Then wait a few seconds before clicking done. Oh by the way when you first plug it in, the HQ searches for it and tells you that he could not find the device and that you probably forgot to turn it on. But it doesn’t tell you where the switch is. It’s not obvious. Anyway after unplugging, cycling the power switch, waiting a few seconds, and then clicking the done button it seemed to work okay. You go to the same process for the field Scout although it does not prompt you for Wi-Fi information since it doesn’t have Wi-Fi. The HQ app gives you the ability to turn on the RGB LED and change colors. It tells you the percent your battery is charged any gives you the temperature from the temperature sensor. I took my field Scout outside to see what the outside temperature was. Unfortunately it was raining so we had to put it in a plastic bag when sitting it out on the back porch. I don’t know how accurate the temperature was but it did change to a reasonable value. There are also controls for configuring the several I/O pins. There’s also a command line for sending for sending script commands. Here are some screen grabs showing the two scouts. There are variety of script commands that you can use on the command line. Here is a link to the reference page. The next thing I tried to do was use the Arduino IDE. You have to download a beta version because the current IDE does not support that chip. Again is a zip file rather than an installer. I already had the current production Arduino IDE installed on this machine. I took a chance and just copied the new files over the old ones. Apparently that was not the right thing to do because when I tried to compile an example sketch I get a “compiler error” with no error message whatsoever. I will probably go back and uninstall original Arduino IDE and delete all the files and try to reinstall the beta version from scratch. But that’s a task for tomorrow. It’s going to be a steep learning curve to do anything really useful with this. 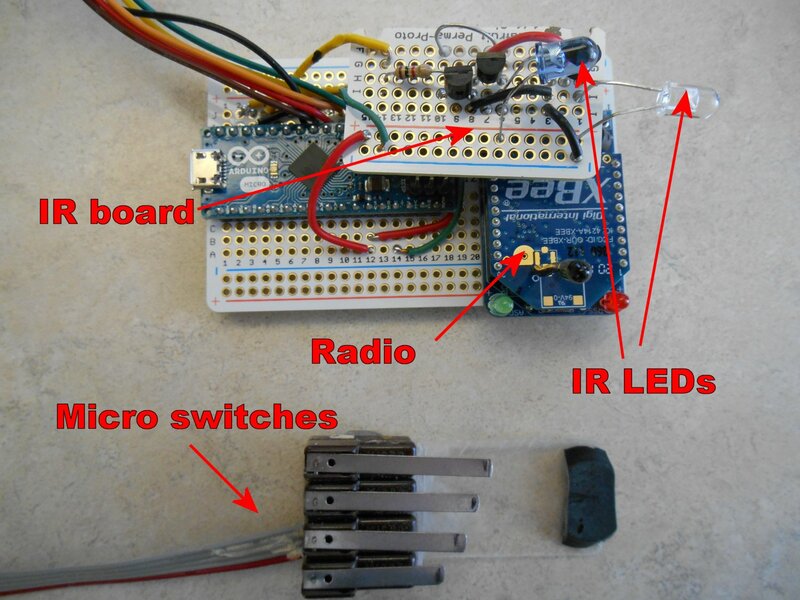 Of course my ultimate goal is to port my IRLib and use it to make an “Internet-of-Things” infrared remote. Let’s going to take lots of time with data sheets and schematics. It looks like as powerful system but are not a long way to go in order to get it to do what I wanted to do. One of the nicest features of this system is that it allows you to use and IR learner chip to directly decode raw IR signals rather than using a decoder bandpass filter and AGC style chip that I normally recommend for my projects. This is essential if you do not know the base frequency of an unknown protocol. The Arduino portion of their software is freely distributable at some point I will be adding something to my IRLib library for Arduino that will allow you to do frequency analysis. But no matter what I come up with it’s not going to be as useful as this full-featured package which is now available at a reasonable price considering the effort they’ve put into it. I’ve had many requests for output of IR signals in different formats such as ProntoHEX that I’ve not yet been able to implement in my code. However this software easily outputs that format. I highly recommend you check out the software. Part 3 of this tutorial is so big we have spread it over 4 installments. This blog post is just to pull all of those post together in a single location. In this segment we create a small Arduino sketch that allows you to type IR codes into the serial monitor and have them transmitted by your IR LED. 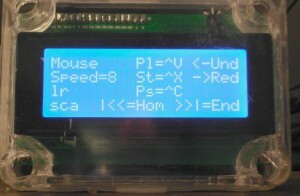 In the segment we use a Python script on a PC or Raspberry Pi to communicate over the serial port with the Arduino. By clicking on the virtual buttons on the PC, the Python script transmits the codes to the Arduino which in turn translates into your device by your IR LED. Because Python and the other tools for creating the Virtual Remote may not be on your system, we have included this extra tutorial on how to install the necessary software on a Windows PC. While it isn’t technically connected to IRLib, we thought it would be useful to a variety of people not just users of our library. Again this is not strictly related to IRLib but if you want to run the Part 3b example on a Raspberry Pi you will need to install the Arduino IDE. General users of Arduino and Raspberry Pi might be interested in this even if they do not use our libraries. If you do not use a Raspberry Pi then you do not need this part of the tutorial. As we mentioned in part 3c, this section of the tutorial doesn’t have anything to do with IRLib specifically, however if you have not already installed the software necessary to run the tutorial part 3b then you will have to follow these instructions. 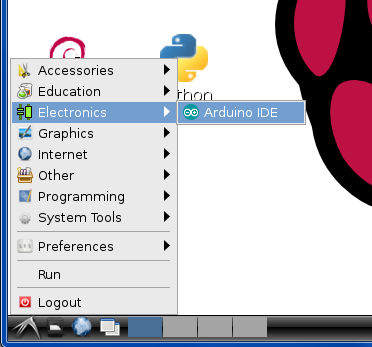 In this section we will install the Arduino IDE on a Raspberry Pi. If you’re not using Raspberry Pi as a host machine but are using Windows like we did in part 3c then you do not need this tutorial at all. Note: This article has only been tested with Arduino IDE version 1.0.x and not with the beta version 1.5.x. We cannot guarantee these procedures will work with the new version which may have a totally different structure since it is a fairly big upgrade. We are assuming that you are using a plain vanilla Raspbian Wheezy OS on your Raspberry Pi. We cannot guarantee any of these instructions will work on other versions of the operating system. We are also assuming that your Raspberry Pi has Internet access for downloading updates. If your Raspberry Pi is not connected to the Internet you’ll have to figure out how to get the necessary files onto your system by an alternate means. Breaking this command down for those of you who may not be familiar with Linux commands… The “sudo” stands for “Super User Do”. Access to the root directory and installation on your machine requires superuser privileges. This command temporarily gives you those privileges. And what are you going to do with them? You’re going to run the “apt-get” command. This is a system already set up in most Linux distributions to get various programs from a central repository. And the command that we passed this program is “install arduino”. I take the time to explain all of that because when I was new to Linux and didn’t know what I was doing, I would ask a question on the support forum and they would give me some obscure line of text type and I had absolutely no idea what I was doing or why. This process not only installs the necessary Arduino components it also installs and/or updates various Java components necessary to run the Arduino IDE. If you do not have Internet access and did not use the “apt-get” command to install the package but simply copied the programs over to your Raspberry Pi, then you do not have the full package. The process of getting those additional Java packages is beyond the scope of this tutorial. 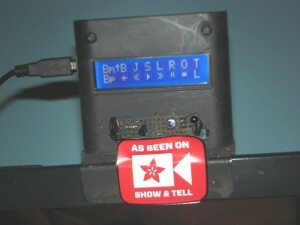 When the installation is completed most of the software is installed in the folder “/usr/share/arduino” and the folders inside that include “hardware”, “lib”, “libraries”, and “tools”. There is also an alias for the “examples” and “reference” folders however these folders are actually stored in “/usr/share/doc/arduino-core/”. 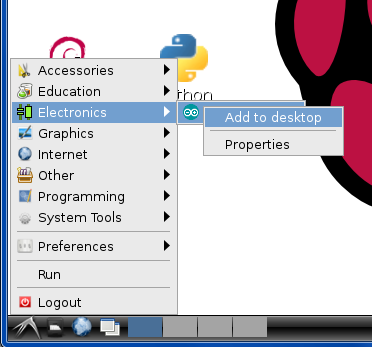 Also upon completion you will discover that your GUI start menu now has a new folder and it called “Electronics” which contains a link to the Arduino IDE as seen here. If you would like a shortstop on your desktop, the easiest way to do it is to collect up on the start but do not actually click on it. Instead do a right-click and there will be an opportunity to “Add to desktop” as seen here. If you double-click on the desktop icon on select it from the start menu the Arduino IDE the first thing you will want to check is the version number. 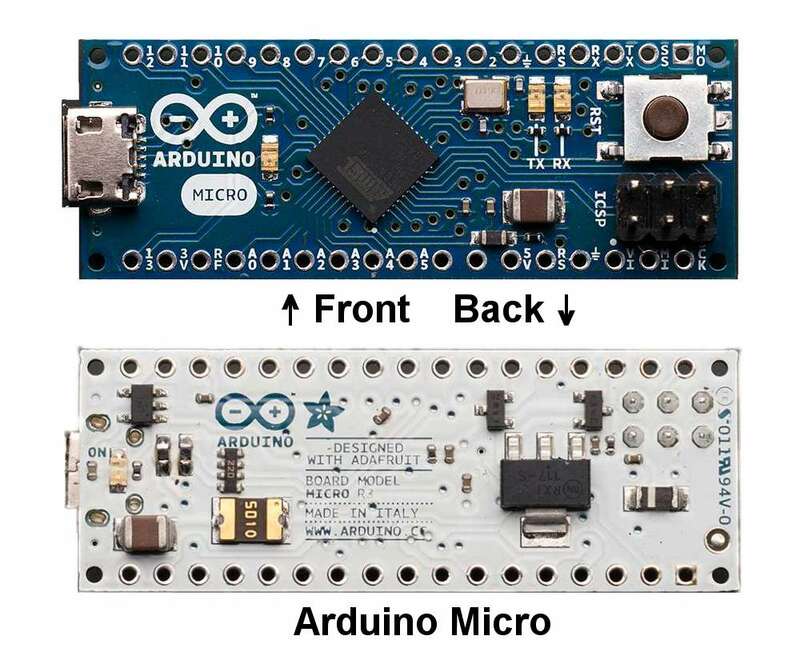 As of this writing the pre-packaged version of Arduino was only at version 1.0.1 however the most recent version was 1.0.4 which among other things added support for other Arduino boards such as the Arduino Esplora and Arduino Micro. If the above installation process did not get you the latest version then you will have to manually updated yourself. We successfully used the procedure below to update from 1.0.1 up to 1.0.4 and a week or so later ran the process again to get up to 1.0.5. The “wget” command gets a file from the web. If you are installing something newer than 1.0.5 you will have to change the filename. 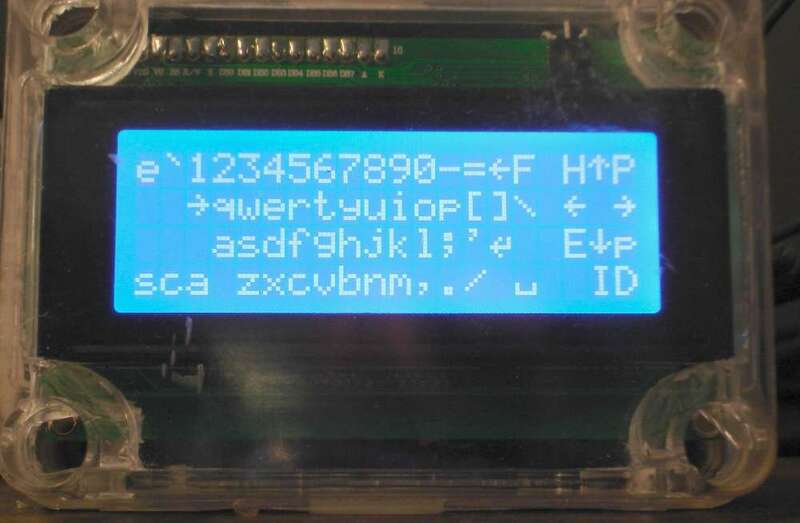 If you are uncertain of the filename, call up a web browser in your computer and go to http://arduino.cc/en/Main/Software and then right-click on the 32-bit Linux link and copy shortcut. Then paste that text somewhere so that you can see the proper filename for the most recent version. We will now use the “tar” utility to unzip the archive that we have downloaded. Issue the following command. This will create a folder under your downloads folder called “arduino-1.0.5”. Then change to that folder with this command. We now want to get rid of the “hardware/tools” folder inside the unzipped distribution. That is because the version that we have downloaded is compiled for an Intel x86 or AMD x86 processor and not the ARM chip that is in your Raspberry Pi. We will use the “rm” command to “remove” that folder. Now we will copy using “cp” to copy the other files into their proper locations. We will go through the subfolders and overwrite any existing files. Note some readers of this blog have reported that they needed to pre-append “sudo” to these commands above. If you are having difficulty with these commands you should try using “sudo cp -ru… etc.” instead. 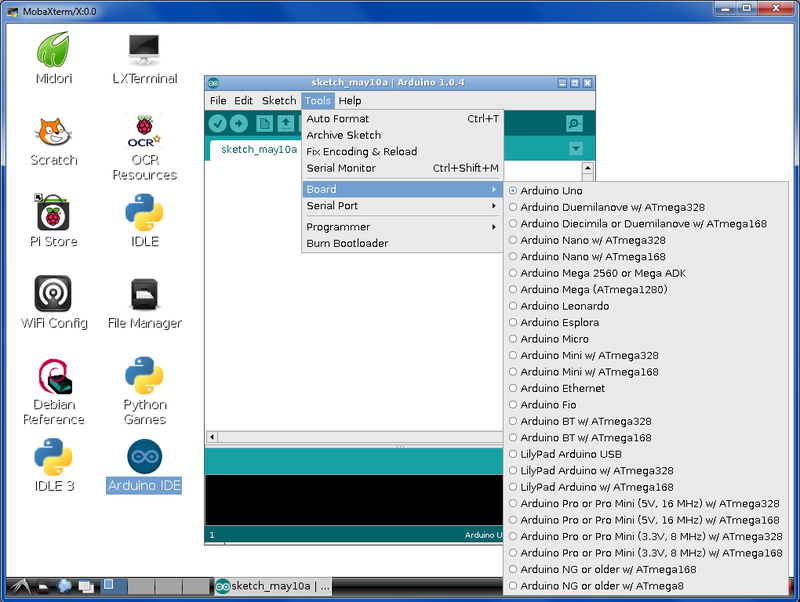 Now if you launch the Arduino IDE you will see that the version has been updated. In this image we had only updated it to 1.0.4 but you can see it does have the additional boards that were missing from the 1.0.1 installation. One last item… If you were doing this in order to run the IRLib tutorial part 3b on your Raspberry Pi then you will also need Python, PySerial, and Pygame. Fortunately Python and Pygame are already installed on your system. Be sure to use the Python 2 and not Python 3. You will however have to install the PySerial module with the following command.